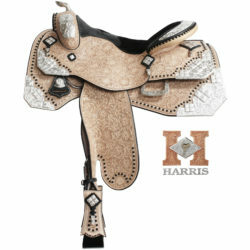 Saddle 647 is one of our most popular designs that features filigree lace top skirt panels in black leather inlaid over top of natural leather giving this saddle a unique three-dimensional lace pattern. 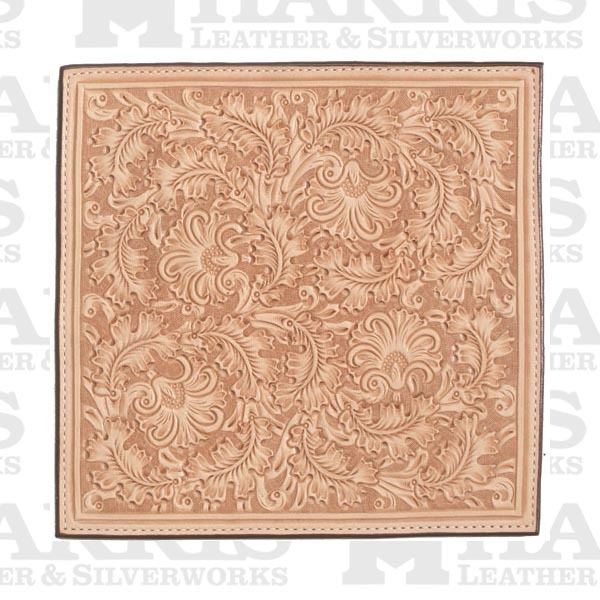 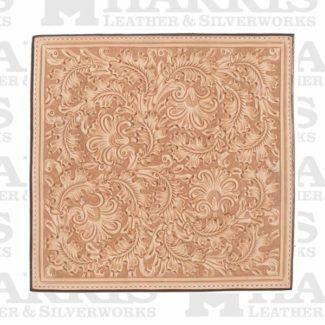 It is tooled in our classic Western Oak tooling pattern and features ornate 45 degree cornerplates with a raised square design and a silver embossed rope edge cantle and gullet. 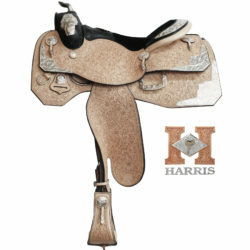 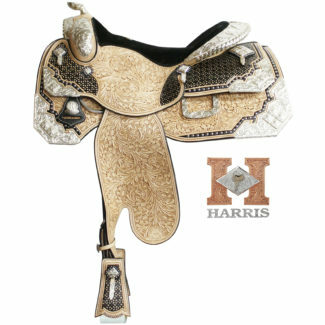 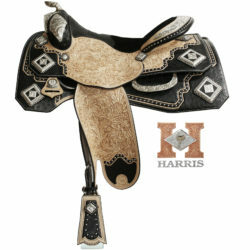 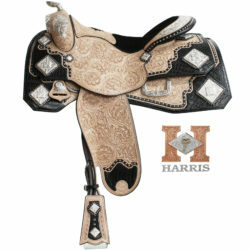 If you have questions regarding this saddle, please call (336)874-2100 or (336)874-2194.